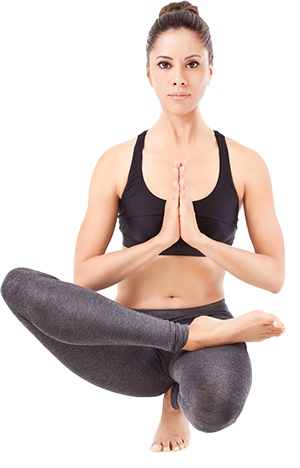 Holistic Harmony Yoga offers a variety of yoga formats including Bikram hot yoga, Yin, Restorative and Yoga Nidra. We have crafted a humble and accessible space here at Holistic Harmony in order to allow you to experience the healing benefits of your yoga practice. Yoga is medicine, and we know that through consistent and steady practice, the body is prompted to heal itself. Our studio is located within Holistic Harmony MedSpa, which offers the latest research-based treatments in functional anti-aging medicine. It is our wish that any level of practitioner can come to our studio to learn and to grow. Our yoga methods will safely challenge you and allow you to release stress and toxins while building strength in addition to increasing your flexibility. Come visit us at Holistic Harmony MedSpa, where balancing the mind, body and spirit is our specialty. Hot Harmony Yoga studio is the first 26+2, 90 minute Bikram style hot yoga in Lincoln, Nebraska. The 90 minute practice is done in a hot room of approximately 105 degrees to promote detoxification via sweating. In addition, the heat provides a feeling of fluidity and elasticity in the muscles and is quite effective in reducing pain associated with restricted range of motion, especially near the joints. During our Bikram yoga practice, you will work every system of the body: skeletal, muscular, digestive, circulatory, lymphatic, respiratory, endocrine, reproductive, nervous, reproductive, and cardiovascular. Each yoga class offers a series of asanas (yoga postures) designed to cleanse and detoxify, to compress vital organs and manipulate blood flow to flush out unwanted toxins and to prevent clogging and blockages that can lead to disease. Release and Renew is a restorative and healing form of yoga using props to support the body in various postures for specific health benefits. Examples of these remedial practices include but are not limited to help with: insomnia, breathing difficulties, lower back pain and also general recuperation post-surgery and/or injury. It is a receptive practice, not an active practice. There is more stillness in this class as postures are held for longer periods of time allowing the body to rest, restore and encourage innate rejuvenation. This class will end with Yoga Nidra, (nidra means sleep) which is a guided meditation-type method of inducing deep release and relaxation. Hands on assists, blankets, blocks, bolsters, eye pillows and essential oils all contribute to a deeply nurturing and restoring environment. This practice of yoga is accessible to all. This mindful yoga flow class steadily builds its pace over the course of the practice, connecting breath with movement. After a short breath practice you will be moving into a gentle sequence of standing postures, lunge poses, spinal twists and hip openers to release the stress of the day. This is a 45 minute express class followed by our Refresh & Renew restorative class. All levels, beginning to advanced are welcome. The theory and purpose of Yin yoga is to fortify the connective tissue and to strengthen it, making that tissue less prone to injury and allowing greater ease and comfort regarding range of motion. A thorough Yin practice also stimulates the meridian body (in yoga we refer to the meridians as nadis) marking a positive change in organ function. Students who practice Yin regularly often report a feeling of spaciousness in or near their joints, and greater mobility. 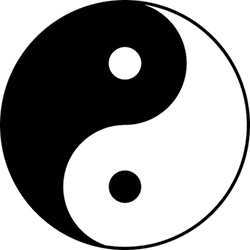 In the body, the relatively stiff connective tissues(tendons, ligaments, fascia) are yin, while the more mobile and pliable muscles and blood are yang. Yin tissue responds differently to exercise than yang tissue, and so a separate style of movement is adapted here for desired results. A Yin Yoga class usually consists of a series of long-held, passive floor poses that mainly work the lower part of the body—the hips, pelvis, inner thighs, lower spine. These areas are especially rich in connective tissues. The poses are held for up to five minutes, sometimes longer. Props such as blocks and straps help support the body in these postures.